“The windows, the bare walls. It was that every day. Every single day. They put me in a room on my own, I was in isolation,” says Casey, 16. Casey’s school disputes the length of time he spent on his own and said he was “regularly disruptive”. The Children’s Commissioner for England, Anne Longfield, says school isolation can be “distressing and degrading” and she is concerned it is being used “as a gateway to excluding and off-rolling”, where pupils are removed from a school’s register. Casey’s father died when he was nine and he lives with his grandmother in Bristol. He says he didn’t learn during the isolation period and spent much of his time copying out of GCSE revision books, often without a teacher present. “It made me feel there was no point to learning,” he said. “I locked myself into my room every day after I came home and shut the blinds,” he said. Casey’s school says the room he was in was not the school’s actual isolation facility. In a statement, it said that schools were increasingly encountering pupils “in crisis” who are being “failed by a combination of public services”. They vary in their nature significantly. 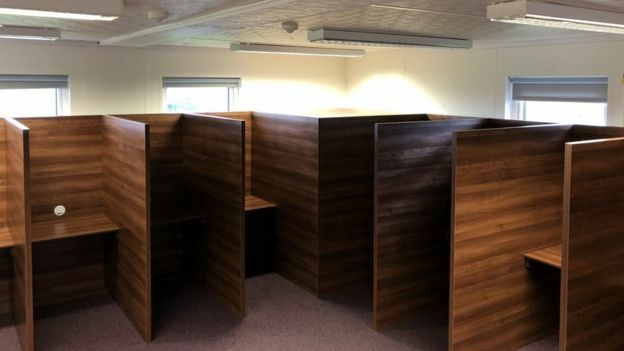 Many include so-called isolation or consequence booths – partitioned desks in which children typically face the wall and work in silence. 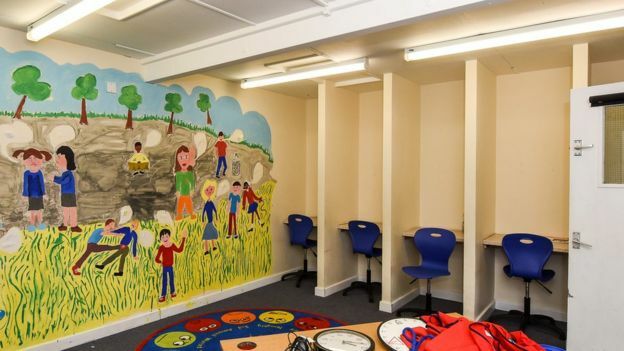 Occasionally schools use “seclusion” units – rooms where children sometimes remain on their own – while others place pupils in more conventional classrooms to work in silence. two schools – which included a bathroom as part of the facility – do not allow pupils to leave the unit all day. He says he has seen 50 children at one time in isolation in one school and children with Asperger’s syndrome and ADHD in isolation rooms and met one child who said they had spent 36 days in isolation in one school year. “That is not education, it is a custodial sentence,” he said. “That is the intelligent way. Isolation is desperation,” he said. 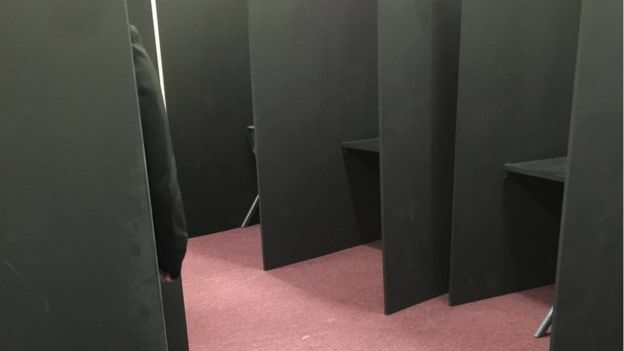 Richard Sheriff is the executive head for eight schools – three of which have rooms with isolation booths – as well as president of the Association of School and College Leaders. “There is a gathering storm with regards to student behaviour,” he says. He says a lot of society’s problems are now being “laid at the door of schools”. 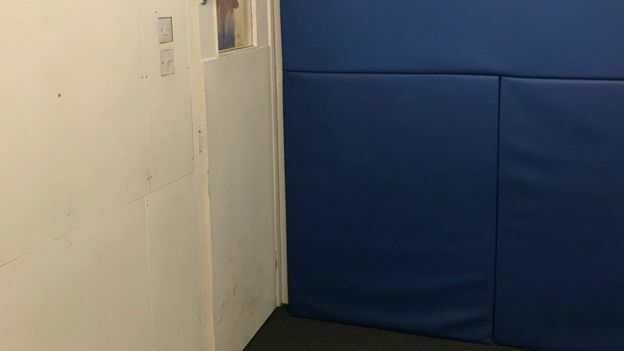 The government’s school behaviour expert, Tom Bennett, says isolation rooms can be effective in tackling disruption in classrooms. 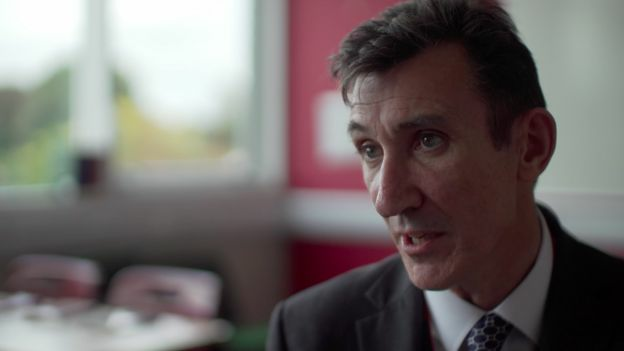 “When you’re a lone adult with a class of 25 pupils, it only take two people to really persistently wilfully misbehave for that lesson to be completely detonated,” he said. “It can be a way of preventing fixed-term exclusions by keeping them in the school and being looked after,” he said.